Data Engineers - database recovery service helps you to recover deleted database files from all types of DBMS such as Oracle, SQL, Exchange, Access and other databases. 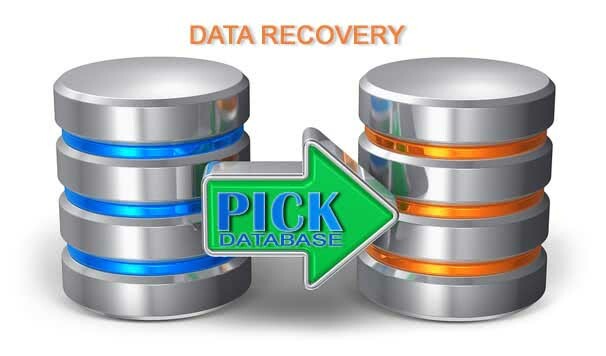 Database Recovery is the process of taking backup of the database and the data to a consistent state. This may include backup of lost data up to the point of the event (e.g. system crash). There are several situations in which a transaction may not reach a commit or abort point. A disk may fail or other hardware may fail. Human error can result in deletion of critical data. In any above situations, data in the database may become inconsistent or lost. Data Engineers have expertise with all database types and RDBMS systems including MySQL, Oracle, Access and we can recover data very efficiently. Two methods are discussed here: Manual Reprocessing and Automated Recovery. If the system crashes, the latest database backup set is restored and all of the transactions are re-applied (by users) to bring the database back up to the point just before the crash. 3. Re-applying concurrent transactions in the same original sequence may not be possible. As with the manual recovery approach we also make periodic backups of the database (time consuming operation). In the Automated Recovery approach, we introduce a Log file – this is a file separate from the data that records all of the changes made to the database by transactions. Also referred to as a Journal. Before Image: A copy of the table record (or data item) before it was changed by the transaction. After Image: A copy of the table record (or data item) after it was changed by the transaction. Rollback: Undo any partially completed transactions (ones in progress when the crash occurred) by applying the before images to the database. Rollforward: Redo the transactions by applying the after images to the database. This is done for transactions that were committed before the crash. The Automated Recovery approach uses both rollback and rollforward to restore the database. In the worst case, we would need to rollback to the last database backup point and then rollforward to the point just before the crash.